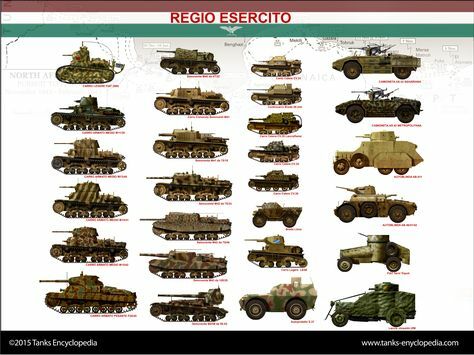 In June 1940, when Italy declared war to France, the CV-33 and 35 were by far the most numerous armored vehicles in service with the Regio Esercito (Royal Italian Army). 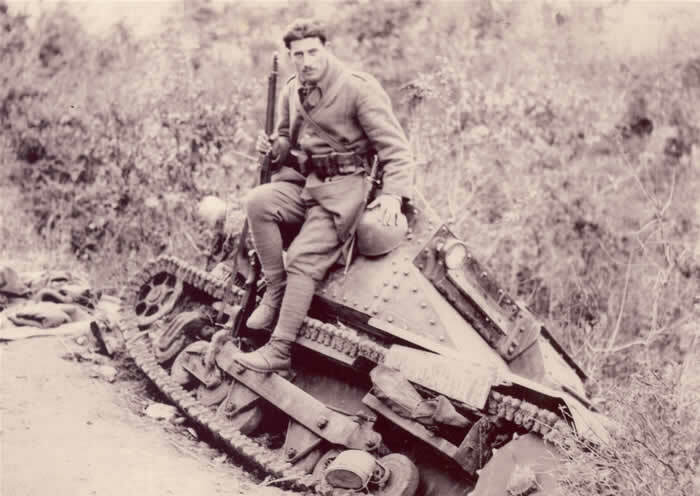 This was a combination of three factors: the international export success of the British Carden-Loyd tankette, a lack of industrial resources and capacity, which prevented the construction of bigger tanks in the early to mid-1930s, and the need for a fast infantry tank for colonial conquest. The CV-33 would, indeed form the bulk of the Italian armored forces during the Ethiopian campaign. Eventually, no less than 2700 tankettes in three main versions were delivered to the Italian army in all, of which 1216 exported and 1506 in service with the Regio Esercito. 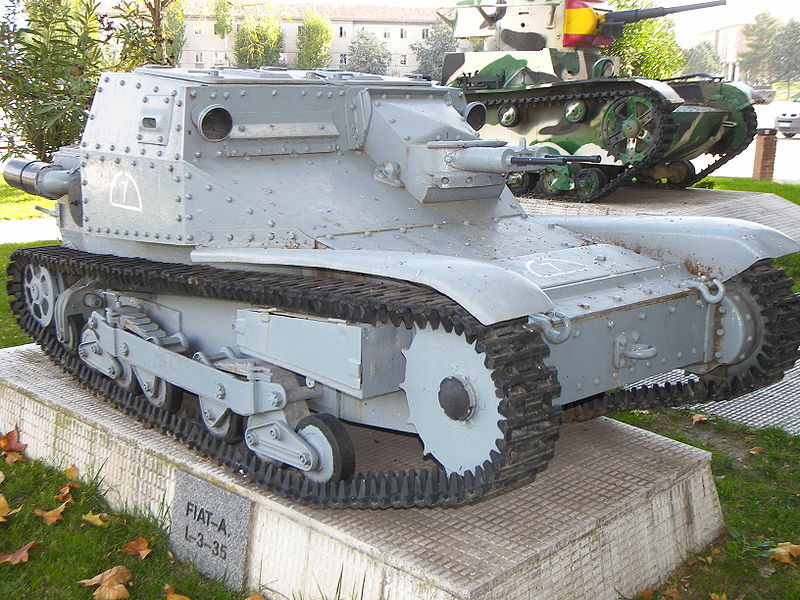 The licence for the Carden-Loyd tankette was acquired by FIAT in 1929. The first prototype was ready in the same year, called CV-29, for “Carro Veloce modello 1929”. Carro Veloce means “fast tank”, which was the main characteristic of the vehicle. This was well suited well with the Italian head of staff’s tactical theories. The aim was to create an effective mechanized division combining fast tanks and trucks carrying infantry. As such, the CV-29 was a lightweight, small and cramped machine, initially being armed with just one machine-gun. The CV-29 was minimally protected, being able to sustain only rifle bullets. Ultimately, twenty one of these “pre-production” models were built, used in exercises and serving as testbeds for improvements, which led to the large production model CV-33. 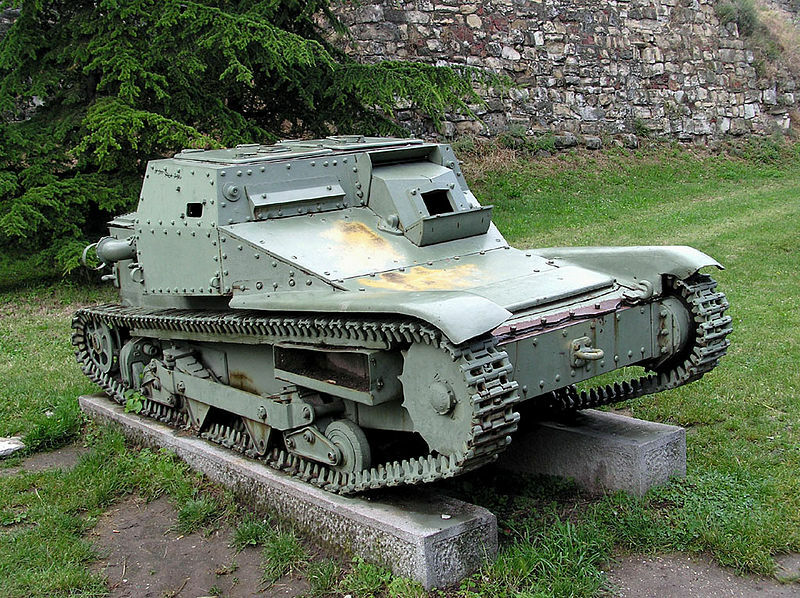 The CV-33 was the first locally truly mass-produced tank in service in the Royal Italian army. 1200 were ultimately built by FIAT in Turin and the Ansaldo Company of Genoa until 1935 (Serie I). The Carro Veloce Modello 33 was slightly lengthened, widened and had a better engine, the petrol six-cylinder watercooled FIAT-SPA CV3, capable of delivering 43 horsepower (32 kW). The suspension and tracks were almost untouched, but the armor was slightly increased to 14 mm (0.55 in) for the frontal part and sides, and the overall weight jumped to 3.2 tons, while speed slightly decreased. In theory, this gave these tanks the ability to withstand most rifle antitank bullets and heavy machine gun fire (12.7 mm/0.5 in). But the rear, roof and lower hull were still too thin for this. Plus, 1940’s modern AT rifles were capable of piercing this frontal armor with ease. As a consequence, in 1938, all CV-33s (then renamed L33/3) were retrofitted to the CV-35 standard. The Serie I was superseded by the Serie II in 1936, with a twin 8 mm (0.31 in) mount. This proved more effective, and all vehicles were thus retrofitted, save a few other Serie I conversions. 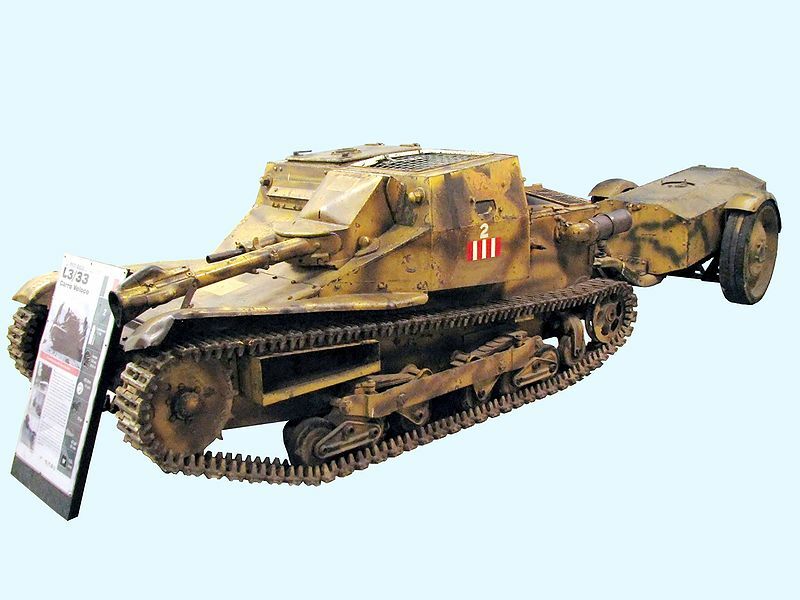 One L3/33 based variant was the L3 Zapattori, a bridge carrier used by the Royal Corp of Engineers. The L33 LF (for “Lanciaflamme”) was a flamethrower version, adapted on L33/3 serie II and L33/5 serie I-II versions. This version was widely used in the African campaign, and proved valuable against British fortifications, but saw service starting from the Abyssinian campaign and as late as the Armistice. The L3/R was a radio version, largely used as command tanks during the African campaign. The L3 CC (Controcarro) was the only adapted antitank version, using the 20 mm (0.79 in) Solothurn AT rifle. A few were built and used in Africa. Due to its low cost (86,800 lire in 1935), the Ansaldo-FIAT CV-33 and CV-35 were successfully exported to South America. Brasil, Bolivia and Paraguay received around forty units in all, which saw in action during the Chaco war. After a series of incidents on the border with Colombia, the Venezuelan army leadership decided to buy at least a few foreign tanks, cheap and simple to operate. The choice fell on the Italian CV-33, and two were purchased and arrived in 1935. It is estimated that 16 CV-33s were purchased by Iraq. Their part in the 1941 anti-British rebellion is unknown, but two seem to have seen action in Fallujah on May 22, 1941. China had become the largest customer of tankettes. In 1936, the Chinese army received a delivery of 100 CV-33s, locally equipped with 9 mm (0.35 in) Villar Perosa M1914 LMG or 7.92 mm (0.31 in) SAFAT. Those from the 2nd Tank Battalion were used against the Japanese during the war of 1937-1938. The Spanish Nationalist forces also received a dozen or more CV-33s. They were used in 1939, at the very end of the war. It influenced the indigenous C.C.I. tipo 1937. In 1935, CV-33s were acquired for the Bulgarian army, due to its relatively small cost and high operational reliability, and named “Ansaldi-Fiat”. 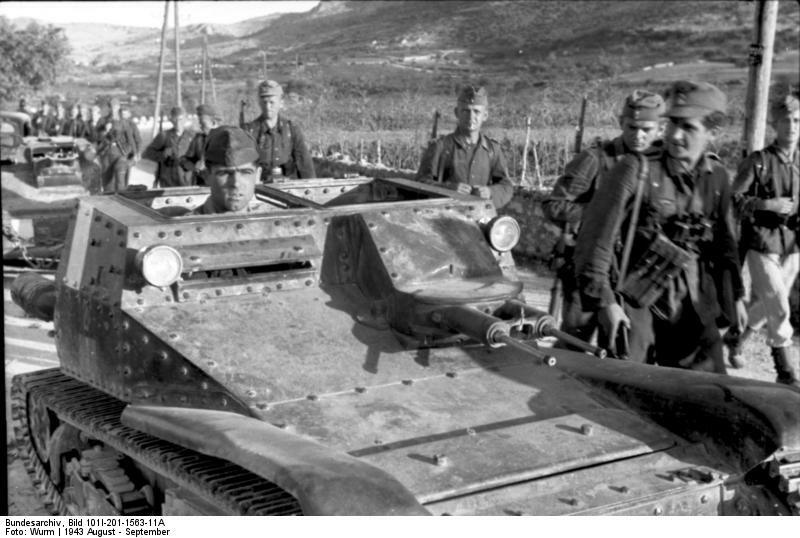 On March 1, 1935, the vehicles were given to the 1st Engineer Regiment, part of the garrison of Sofia. They served for training with infantry, but intervened in South Dobrogea in September-October 1940, during the annexation of the province. 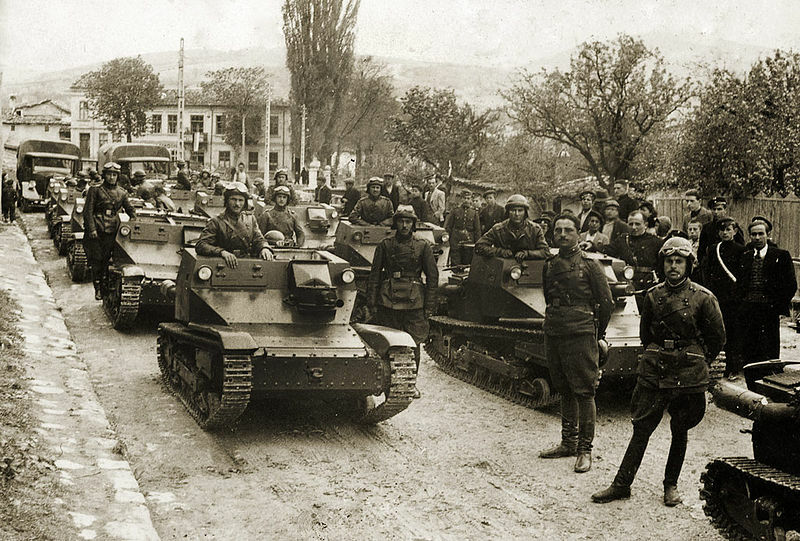 During World War II, these vehicles were kept for training, but they were given in a hurry, in October 1943, to the 10th and 11th Armored Brigade Companies based at Sliven, and managed to survive until April 1945. 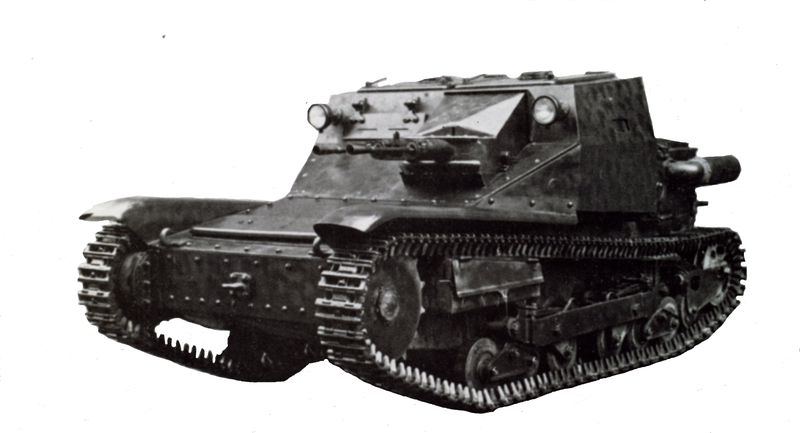 Austria signed a contract with Italy to provide the army with 36 CV-33 serie IIs in 1934, delivered in the autumn of 1935, and 36 more were received in March 1936. Schwarzloze 8 mm (0.31 in) machine guns were installed instead of Bredas. 4 tank companies were formed and stationed at Bruknendorf. 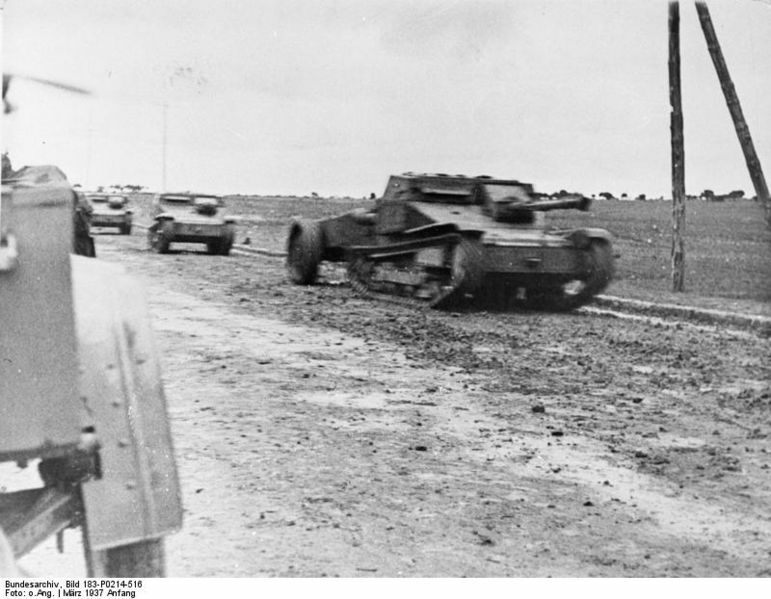 However, in March 1938, during the annexation, these vehicles were seized by the Wehrmacht, distributed among four Leichte Panzerdivisions for tests and training. Albania purchased some CV-33s in 1935, although Italy already had planed to occupy the Albanian territory, and these were quickly back with their former owners. 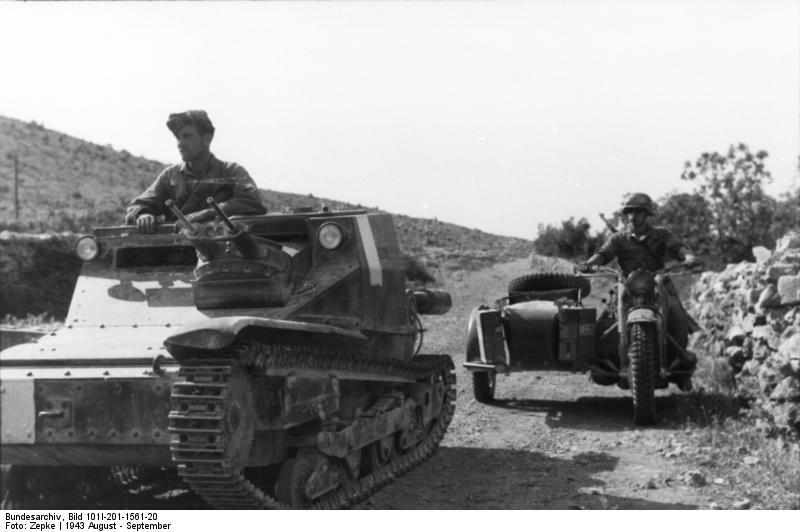 The L3 tankette’s career as a whole was quite impressive, spanning from the Abyssinian (Ethiopian) campaign to the surrender of Kesselring’s German troops in Italy, in May 1945. In Abyssinia, they tested their metal in several operations, and took losses in the battle of the Oasis of Gorrahey on October 11, 1935. In December, Ethiopian soldiers near Addis Abeba assaulted tankettes with any means available, capturing many prisoners in the process. Some CV-33s were also apparently captured almost intact and reused for a short period, with as many as 18 according to some western sources. The campaign was over in May 1936. Other areas or operations and battle records includes the Spanish Civil War, Albania, Greece, British Somaliland and the Horn of Africa, Libya, the Eastern Front (Ukraine), the Balkans (Bulgaria, Yugoslavia), Sicily, Sardinia, the whole of Italy and the South of France (Cote d’Azur). It seems more CV-33s were exported than CV-35s, so the latter were comparatively more important in the composition of armored units. 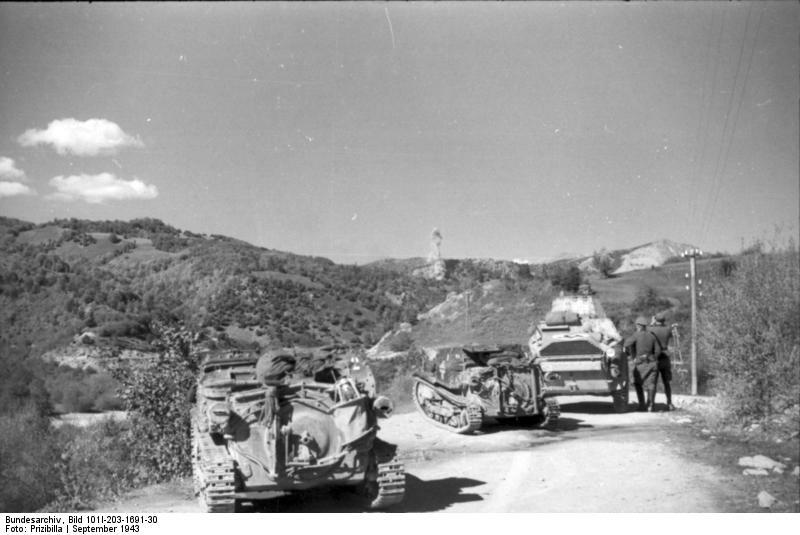 By 1942, the remainder of these tankettes were no longer in first line, and by 1943 they were generally given to small units responsible for anti-partisan operations in the Balkans, and later in Italy itself. 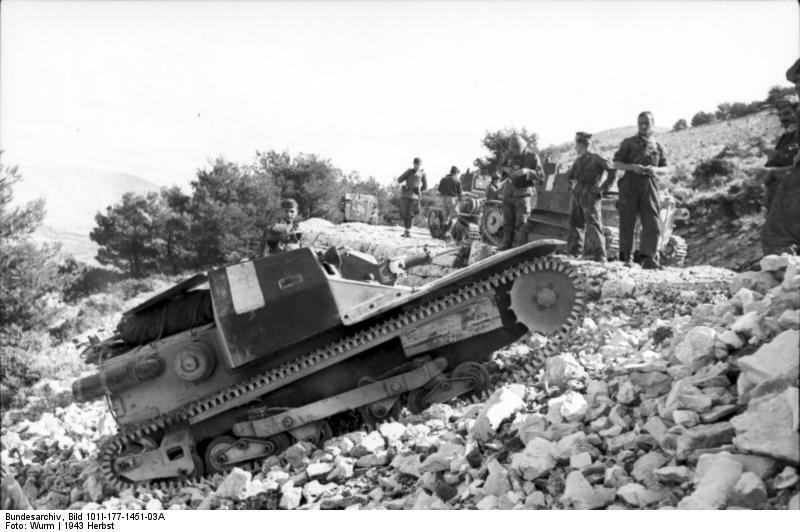 Despite of their poor battle records, the L3 family of tankettes were fast, with a low profile, which made them difficult to hit, and had low consumption. Available in large numbers, they were used as scouts, advanced screening and flanking forces, and for colonial and police duties, or derived into flame-thrower versions and anti-tank vehicles. The L3/33 had several nicknames which reflected the lack of confidence of Italian crews in its flimsy protection: “scatola di sardine” (sardine box) or “cassa di morto” (dead man’s box), or even “bara d’acciaio” (iron coffins). 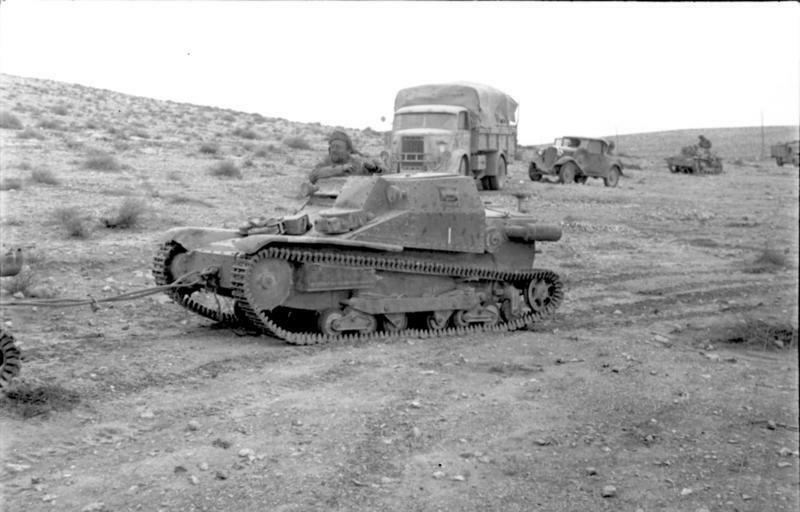 Carro Veloce CV-33, early production (Serie I), 132nd Armoured Division Ariete, Libya, January 1940. CV-33 of the 13th Battalion, 32nd Regiment Corazziere, Corsica, 1942. The L3/33 CC (“CC” stands for “Contro Carro”, or antitank version) was an adaptation of the elderly CV-33s of the “Centauro” division, which arrived in Libya too late, missing El Alamein. 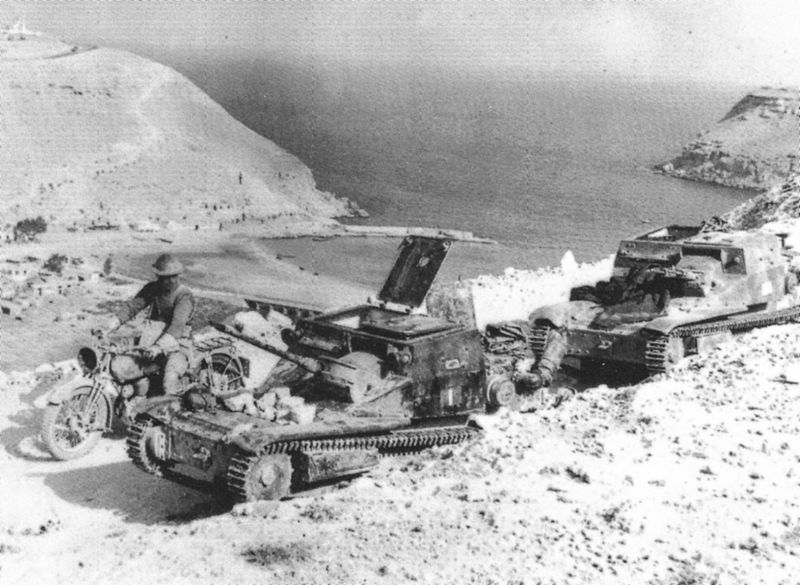 However, under Kesselring and Rommel, they performed a good fighting retreat into Tunisia. Some CV-33s were thrown at Kasserine pass against freshly landed GIs. The 20 mm (0.79 in) Solothurn rifle was produced initially by a firm controlled by Rheinmetall, in Switzerland. It was heavy, cumbersome and had a huge recoil, but a far better muzzle velocity than the British Boys, and were able to pierce armor up to 35 mm (1.38 mm). As a result, many L3s were successfully converted as antitank platforms. CV 33 LF (Lanciaflame) at the Bovington museum. May I suggest a few corrections? “2nd Gruppo Corrazato Leonessa” – The correct word would be “Corazzato” . If you also want to include the correct numeral in italian, that would be “2o” or “2°”. “32nd Regiment Corazziere” – Corazziere as in “Cuirassiers”(So, plural)? If so, it should be “Corazzieri”. I’ve never seen in any book or article about this tankette, accurate production figures, not monthly or even annually. Which leads me to think that original production records were destroyed or are not easily accesible to researchers. Anyone have information about this topic? the CV 33 of the armored group “leonessa” (lioness) were on each side a letter m with a transverse lictorial beam. under it was written GNR which stands for “Guardia nazionale repubblicana” (Republican National Guard).